A bubbly bundle of candy-floss fluff, that’s cuddly Nelly Elly Pink! 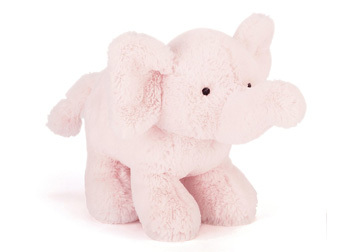 This blushing buddy loves lolling around and resting that soft, squidgy trunk. With classically cuddly ears and feet, and bright, inquisitive eyes Nelly makes any day twice as rosy!